What is the status of the patent misuse defense after the en banc decision of the Court of Appeals for the Federal Circuit in Princo Corp. v. Int’l Trade Comm’n? 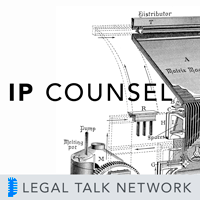 On this edition of IP Counsel, host Attorney Peter Lando, partner at the firm of Lando & Anastasi, LLP, welcomes Dmitry Milikovsky, Senior Intellectual Property Rights Counsel at Qualcomm Technology Licensing, Qualcomm Incorporated, to discuss the evolution of the patent misuse doctrine, the recent Princo decision and its procedural history, as well as the relevance of the doctrine and the Princo decision to technology transfer agreements and related collaborations. Special thanks to our sponsors, SunTrust, Samet & Company, and Sentinel Benefits & Financial Group.